a field of close to 150 cars, to turn on the win light in the final. Taking home $20K. should we say an Incredible "Hulk" win ! ! ! Tarrell Sinkler goes 8 rounds to the final in a $10K Top Eliminator Race held at Maryland International Raceway on Saturday, August 17, 2013. Taking home the Runner-up Win. We Congratulate Tarrell on his outstanding performance and on his Runner-up Win ! 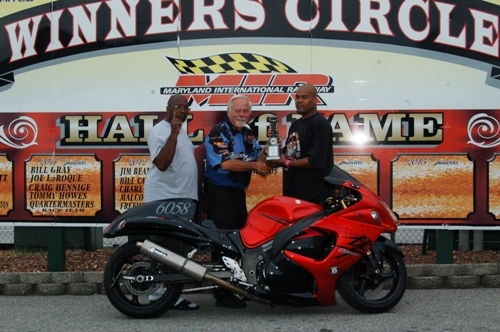 Darrell Mahoney continues his winning streak at Maryland International Raceway on Saturday, August 17, 2013. Taking home his 3rd win in 3 weeks in the Motorcycle Eliminator Class. We Congratulate Darrell on final round victory and wishes him continued success. 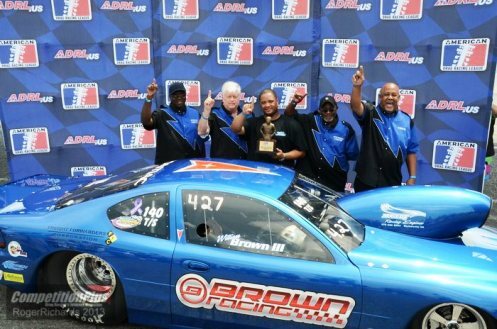 victory on Wednesday, August 14, 2013 at Richmond Dragway . We Congratulate Ken on his final round victory. "War on Wheels" on Wednesday, August 14, 2013 at Maryland International Raceway. Earning him the title of "Last Brother Standing" in the gamblers race. We Congratulate Tony for being the "Last Brother Standing." 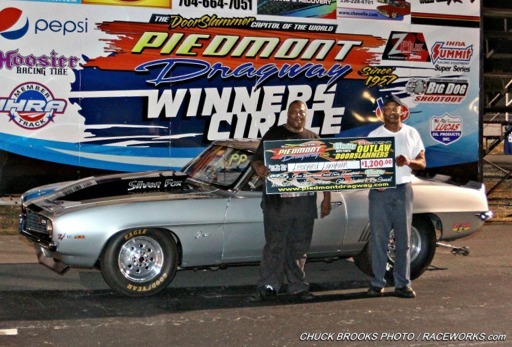 at Piedmont Dragway on Thursday, August 8, 2013. We Congratulate Leonard on a great win. Drags IV Race held on August 2-3, 2013 at Memphis International Raceway. Making this his 2nd win in the 2013 ADRL Series and moving him to the #1 spot in the points. into #1 spot in the ADRL Top Sportsman Points. With only 2 more races left in the 2013 ADRL Series we wish William continued success. Travis is currently #1 in ADRL Top Dragster Points and #2 in the ADRL Pro Mod Points. 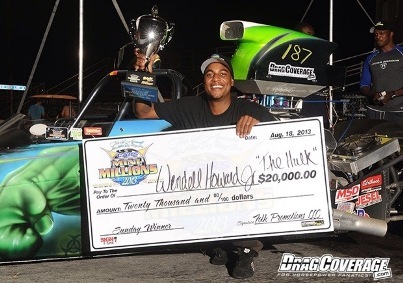 success as he moves into the last (2) races for the 2013 ADRL Season." Welcome to Quarter Mile Brothers where drag racing is all about the "Brothers".